β-Blockers are the most commonly used class of medication for treating cardiac conditions in pregnant women.1 Despite the common use of this class of medication, data that support its safety are limited. 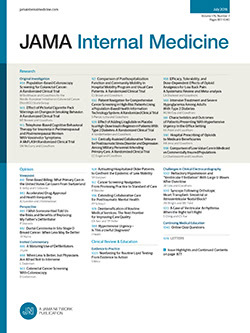 β-Blockers cross the placenta and potentially can cause physiological changes in the fetus.2 β-Blocker exposure has been shown to cause bradycardia and hypoglycemia in the neonate.3 A recent meta-analysis4 reported an association between β-blocker exposure and fetal congenital cardiovascular defects, raising a concern regarding potential teratogenic effects of this class of medication. This study examines the risk of fetal cardiac malformations in association with maternal β-blocker exposure. This is a retrospective population-based cohort study that included births in the Kaiser Permanente Southern California (KPSC) Region between January 1, 2003, and December 31, 2014. Only singleton pregnancies were included. Pregnant women exposed to β-blockers during pregnancy were identified using pharmacy dispensing records. Maternal comorbidities and fetal congenital anomalies were identified by searching electronic medical records using ICD-9-CM codes. Fetal birth weights were obtained from California birth certificates. Logistic regression analyses were used to estimate odds ratios (ORs) with 95% CIs. Multivariable logistic regression models were constructed by including factors that have been shown in other studies to affect fetal congenital anomalies. The research protocol used in this study was reviewed and approved by the Kaiser Permanente institutional review board. The need for written informed consent was waived owing to the retrospective nature of the study. In a cohort of 379 238 pregnancies, 4847 (1.3%) were exposed to β-blockers. Among this group, 2628 (0.7%) were exposed to β-blockers during the first trimester of pregnancy. The 4 most commonly prescribed β-blockers were labetalol (n = 3357), atenolol (n = 638), propranolol (n = 489), and metoprolol (n = 324). Table 1 shows the baseline maternal characteristics of the study population. Women exposed to β-blockers were older, and had higher body mass indices. Diagnoses of hypertension, preeclampsia, eclampsia, hyperlipidemia, diabetes, heart failure, and a history of arrhythmia were more common among patients exposed to β-blockers. Gestational age at delivery was lower in the β-blocker–exposed group (mean [SD] weeks, β-blocker group 37.4 [3.0] vs 38.9 [1.9] in the unexposed group). Table 2 summarizes the unadjusted and adjusted associations between β-blocker exposure and congenital cardiac anomalies in the infants. In unadjusted analyses, maternal β-blocker exposure was associated with significantly increased odds of fetal congenital cardiac anomalies. However, after adjusting for maternal age, maternal body mass index, and maternal comorbidities, there was no longer an association between β-blocker exposure and fetal congenital cardiac anomalies. These results suggest that the associations seen in the unadjusted analysis were caused by confounders rather than effects conferred by β-blocker exposure itself. In this large population-based cohort study in California, we found that β-blocker exposure was not associated with increased risks of fetal congenital cardiac anomalies after adjustment for maternal comorbidities. The previously reported association between β-blocker use and fetal cardiac anomalies in other studies may be attributed to confounding. One limitation of our study is that β-blocker exposure was based on pharmacy dispensing information, and it was not possible to ascertain if the pregnant women actually took the medication (ie, misclassification owing to noncompliance). On the other hand, because pharmacy dispensing information was used, we were able to avoid any recall bias that might be associated with studies using surveys to determine medication exposure. While these findings do not definitively rule out the possibility of fetal congenital defects in association with β-blocker use, these results do provide reassurance regarding the use of this class of medication for the treatment of cardiac conditions in pregnant women. Corresponding Author: Ming-Sum Lee, MD, PhD, Division of Cardiology, Kaiser Permanente Los Angeles Medical Center, 1526 N Edgemont St, 2nd Floor, Los Angeles, CA 90027 (mingsum.lee@kp.org). Accepted for Publication: February 16, 2017. Author Contributions: Dr Lee and Ms Duan had full access to all the data in the study and take responsibility for the integrity of the data and accuracy of the data analysis. Ms Duan and Dr Ng contributed equally to the work. Concept and design: Duan, Ng, Chen, Shen, Lee. Acquisition, analysis, or interpretation of data: Duan, Ng, Chen, Spencer, Nguyen, Lee. Drafting of the manuscript: Duan, Spencer, Lee. Critical revision of the manuscript for important intellectual content: Duan, Ng, Chen, Nguyen, Shen, Lee. Statistical analysis: Duan, Ng, Spencer, Nguyen, Lee. Administrative, technical, or material support: Ng, Chen, Shen, Lee.